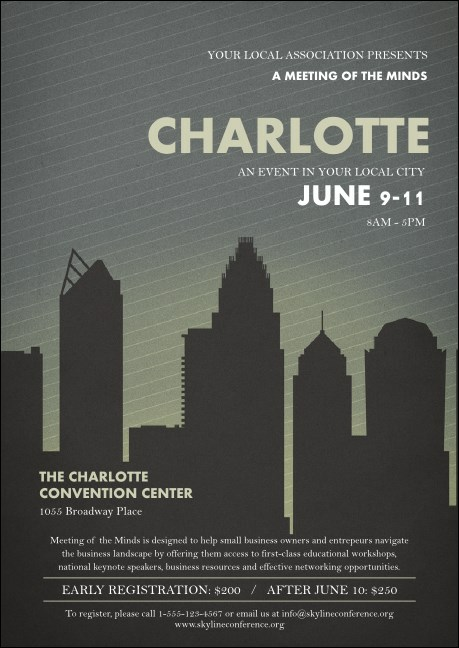 Make your Metrolina pre-event advertising more successful when you print Charlotte Postcards and send them out to your Banktown guest list in advance. Show the Piedmont Urban Crescent what they’ll miss at your event with Postcards that feature a gray and white stripped background with fifteen lines of text for all your event details. Advertise from Winston-Salem to the Research Triangle at TicketPrinting.com.